Green vegetables: Green vegetables are beneficial not merely for the skin and body but the healthy growth of hair too. Vitamin ‘A’ and ‘C’ are present in abundance in vegetables. Hence include spinach, broccoli and fenugreek in your daily food for the healthy growth of hair. Green Tea: If you include green tea in your daily diet, hair loss shall would stop. The green tea which contains vitamin ‘C’, ‘D’ and antioxidants strengthens hair. Carrots: Carrots are filled with ample vitamin ‘A’ which is hugely good for the health of hair. It also makes the scalp healthy. Berries: Blueberries, raspberries, strawberries and crane berries are highly beneficial for hair. These bring volumes in the hair and they look bushy. Eggs: Eggs contain protein in abundance which gives right nutrition to hair. Grains: Wheat and soybean types whole grains are the good sources of iron, vitamin ‘B’ and Zinc which turns hair healthy and attractive in looks. Nuts-dry fruits: Walnut, cashew nuts, and almonds are good sources of zinc and omega-3 acid which are highly beneficial for the healthy growth of hair. 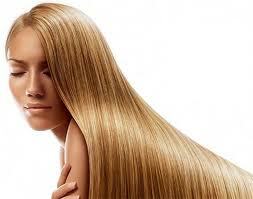 Low fats dairy products: For long and shiny hair, include low fat dairy products like milk and curd. Oily fish: For beautiful and shiny hair, make use of oily fish. Avocado: Avocado is rich with omega-3 fatty acid, vitamin ‘C’, and ‘E’ which makes hair healthy, beautiful and strong. Thus above foods act as beauty foods for the Healthy growth of hair. Refrain from shampooing your hair daily to maintain a healthy growth of hair. By doing the shampoo daily, the natural oil of hair gets destroyed. Both hair and scalp become dried up. If your hair is oily, spray water in the roots of your hair or sprinkle baby powder. Unwire the tangled up hair with your fingers while blow drying your hair. Use the brush after the hair dries up completely. .
colour your hair regularly. It doesn’t get damaged after colouring it at an interval of 28 days. Cut your in layers to give hair the young look. Spray your hair with water and a few drops of shiny serum. Mix the white of an egg in 1 teaspoon of almond oil and on the roots of hair. Wash this after an hour. Keep the avocado mask on hair for ½ an hour and then wash the hair. You can also mix into it hot olive oil. If avocado is not available, you can use mayonese. Apply this mask once a week. Prevent your hair from too much of sunlight, too much of wind and too much of cold to prevent the growth of double mouthed hair. To get rid from this problem, hair needs trimming from time to time. Myth: Hair become bushy on cutting the hair at shorter intervals. Truth; Small hair for certain look bushy but the hair cutting doesn’t make any difference in the normal growth of hair. If your hair is thinner, trimming cannot turn it bushy. Myth: Conditioners rids the problem of the double mouthed hair. Truth: It’s totally false. No conditioner can solve the problem of the double mouth hair. Conditioners at best make the hair soft and silky. Myth: Repeated washing of hair causes its loss and the hair become dry. Truth: There is no truth in it at all. Experts on the hand advise to wash hair thrice a week. If the shampoo is used according to the type of the hair, the moisture and beauty of hair remain in tact. Myth: Colouring cause hair fall. Truth: Ayurvedic quality colouring products do not cause harm. Myth: Incessant brushing/combing of hair makes the hair strong and healthy. Truth: This causes harm to the cuticles of hair. Combing is better than brushing. Shirshasana posture lowers the rate of hair loss so think majority of the people. But this assumption is wrong. Shirshasana is good for blood circulation and for the balance of body. This has got nothing to do with hair.